What would you say if I told you that equality and women's rights and income equality were concepts that have historically formed the basis of all tyrannies throughout modern history? What if I told you that a soft despotism, corroborated and energized by the perpetuation of fallacies and hastily-accepted false truisms, has insidiously degraded our social lexicon while generating sufficient social pressure to substantiate the most oppressive form of tyranny? What if I told you that all of this could occur by the acceptance and support of voters and non-voters in the democratic republic of the United States of America? The truth is, only half of voting-age Americans vote in the presidential elections, and an even smaller percentage of people participate in mid-term and local elections. Could it be that democracy is merely allowing two sheep and a wolf to decide what's for dinner? 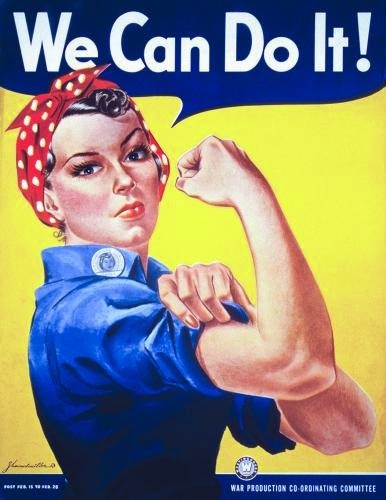 Let us remember, Women's Equality Day commemorates the 19th Amendment, which granted women the right to vote. Who kept that right from women in the first place? The answer is, of course, government. Government is the body of organized force which has historically decimated civilizations, perpetuated war, legislated the mass removal and enslavement of persons, and made criminals or citizens of men and women, all in the name of some brand of progress. Herein rests the grand contradiction by which ordinary people accept or tacitly endorse a system which administered and legislated history's inequities, and yet these same people, or their successors, wish to rectify their wrongdoings through the very process which originally created it. In the end, the ability to vote in governmental elections is the ability to vote on how other people can spend their time and money, and is thereby a vote against freedom. Suffrage was not only an artificial means to personal or group advancement, but it was also a fantastic distraction from the innate shortcomings of a system which purports to be democratic, liberal, equitable, or some impossible combination of those and other utopian visions. Free your mind and open it to the idea that we are all people. There is no such liberty which is universally applied to one person or group which is not one naturally reserved for all. The institution which grants these so-called "rights" may do so only at the expense of freedom elsewhere. It is nearly comical how some people are born with rights while others are born with responsibilities. Moreover, the aspiration for equality would be laughable if not for its adverse, and often inverse, effects. No person or set of persons can be equal, by any standard or measure. We are all different. Our only common link is that we are all human. We all have visions. We all have dreams. But we all aspire to be different, to be remembered, to achieve. Each person's standard for achievement is naturally different, and any attempt to establish equality is to objectify the value of human life and thereby decide the fate, purpose, and limits of every human being. Let us consider the minimum wage. Before women were granted the right to vote, they were granted the right to a set standard of living. This was delivered in the form of the Minimum Wage Act of 1918. This act promised women workers a minimum of $71.50 per month for their labor. The Supreme Court, however, in Adkins v. Children's Hospital (1923), declared that the law was unconstitutional, as it violated the "freedom of contract" protected by the due process clause of the U.S. Constitution, while conflicting with legal precedent established at the turn of the century in Lochner v. New York (1905). In the Adkins case, Justice Sutherland declared that the Minimum Wage Act of 1918 was simply a "a price-fixing law." He continued, "It forbids two parties... to freely contract with one another in respect of the price for which one shall render service to the other in a purely private employment where both are willing, perhaps anxious, to agree...."
As time would reveal, economic and social phenomena are not solvable by mere lawful decree. In fact, when government acts, the consequences are largely unfavorable for those whom the policies intend to benefit. In the case of the Minimum Wage Act of 1918, twenty-one-year-old Willie Lyons, who was at the center of the Adkins case, worked as an elevator operator at the Congress Hall Hotel in Washington, D. C., for $35 per month and two meals per day. With the new minimum wage of $71.50 per month, the Congress Hall Hotel simply could not legally continue to employee her for her services, even though she was willing to work for $35 per month and two meals per day. Because her productivity failed to suffice the arbitrary $71.50 minimum price level for labor, the hotel was forced to release Willie Lyons from their staff to then hire a man to replace her. In the end, the Minimum Wage Act of 1918, a law designed with the backing of greatest intentions, harmed the very people whom it was alleged to benefit. This is the case with all forms of equality engineered by the institutions of organized force, which must necessarily extinguish liberty to pave the path toward equality. Here and everywhere, it seems true that a society which puts equality before freedom will have neither, while a society which puts freedom before equality will obtain a high degree of both. This has been true throughout history, and it is no less true today.